We of the International League of Peoples’ Struggle (ILPS) condemn the inhuman treatment of Prof. GN Saibaba by the Indian authorities and demand his immediate and unconditional release. We express our militant solidarity with him and support him in his hunger strike to demand for immediate action on his health situation and for his unconditional release from prison. Prof. GN Saibaba has gone on an indefinite hunger strike from 11 April 2015 to protest the inhuman, cruel and degrading conditions of his imprisonment and the refusal by the court of his application for bail. GN Saibaba, who is a Delhi University professor, has been unjustly detained since 9 May 2014 on trumped up charges under a dubious law. While in detention, he has been deprived of necessary medical treatment for his heart condition. The law under which he is held is the Unlawful Activities Prevention Act (UAPA), which has been strongly criticized by many Indian jurists. 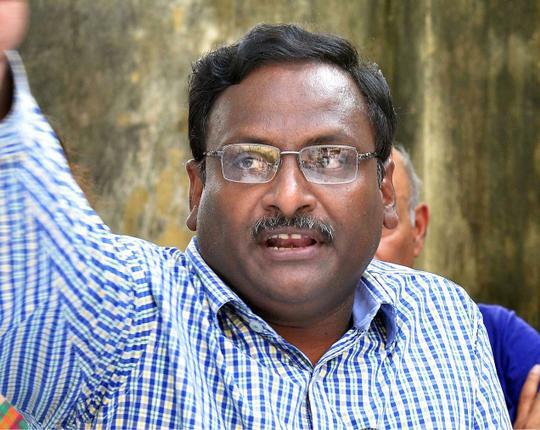 Prof. Saibaba is charged with secretly being a member of the Communist Party of India (Maoist) which is banned in India and having contact with its general secretary Ganapathy. He has been refused bail. GN Saibaba suffers from a heart ailment and is kept in an isolation cell. The Indian authorities refuse to give him medical treatment. One of the apparent reasons is that he comes from a lower caste, being a son of a poor peasant. We are one with all the professors and students and the broad masses of the people in India and all the people of goodwill throughout the world who are fighting for the democratic rights of Prof Saibaba and calling for his immediate and unconditional release.